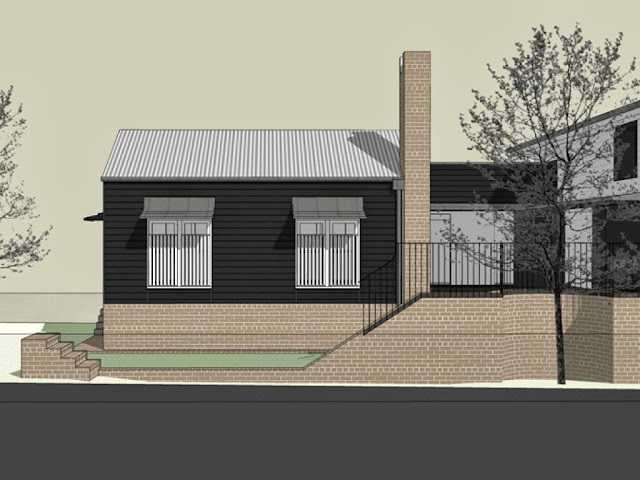 We are currently undertaking a complete renovation of a pre-1930's worker's cottage. The four rooms that formed the original part of the house were in good condition and only required some cosmetic changes. 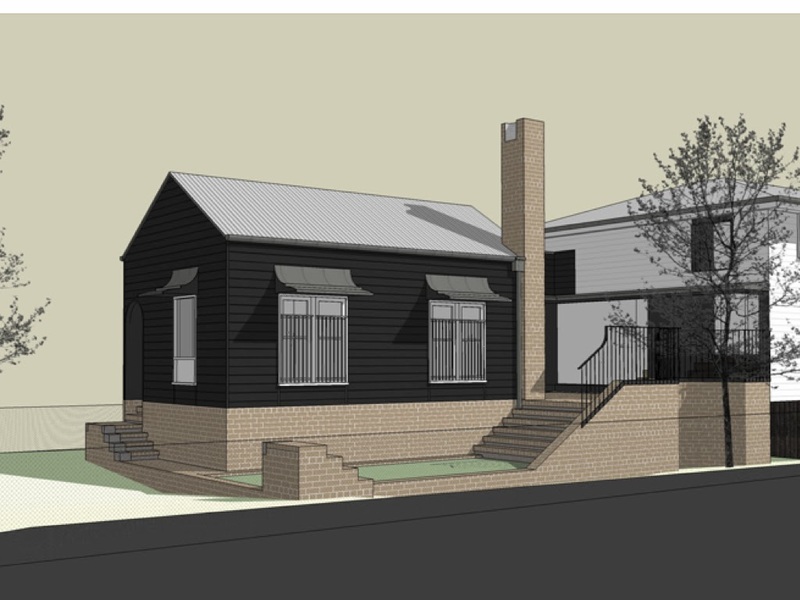 These rooms will serve as a master bedroom which includes an ensuite and WIR plus a series of public spaces while the old lean-to extension which housed the old bathroom was removed to make way for a new living room. 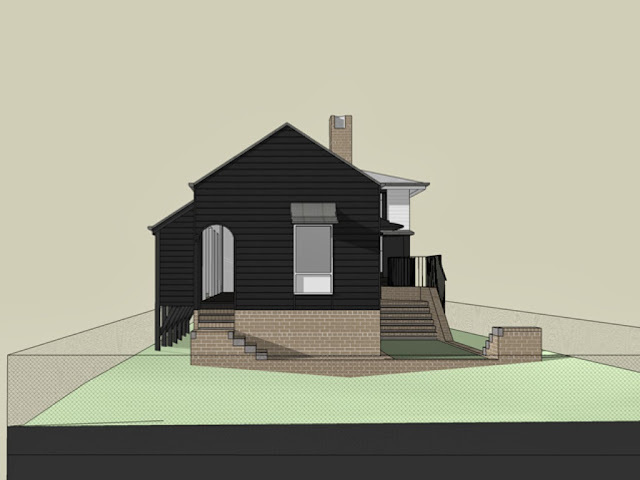 The rear of the home has been entirely reworked and will now consist of a kitchen/scullery off the dining space and a new wing at the rear which will house the kids' bedrooms and utility rooms. Keen to create a sense of privacy, the design has turned it's back on the neighbouring units. Privacy has been maintained in the garden by sandwiching a terrace complete with outdoor fireplace between the house and new children's wing. 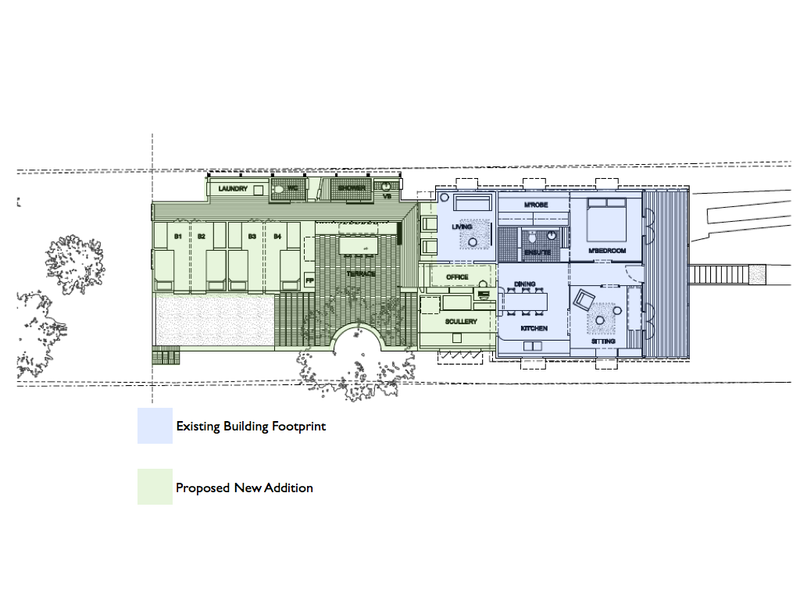 The split-level design has also enabled a strong connection between the house and the garden. Although the extension will be built to the allowable 25 metre maximum building length, the design has ensured that there is still loads of outdoor space for the kids.